Sleep in style with the Zenith Bed by Rugiano Interiors. This classic bed design is enhanced by modern materials and bronze detailing. 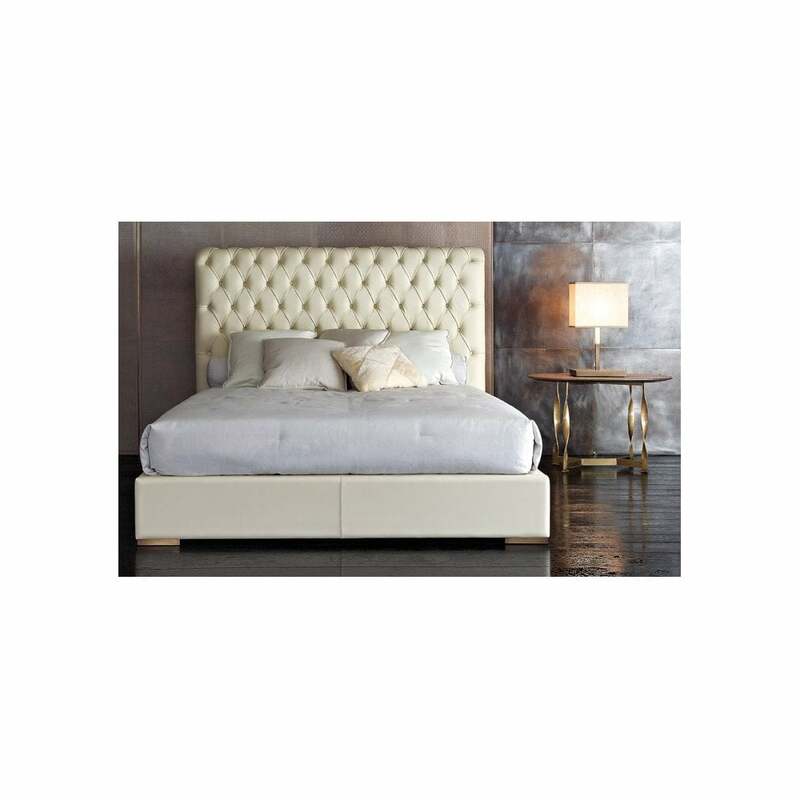 Epitomising Italian glamour, the Zenith bed is upholstered with the finest leather and fabric. Hand-crafted by skilled artisans, the soft padded headboard with capitonnè upholstery is designed for maximum comfort. The bed frame is available in a range of options including linen, velvet fabric and smooth, nubuck and aniline leather. The Zenith Bed showcases a subtle sophistication that is synonymous with Italian style. Create a tranquil yet striking bedroom scheme with pops of colour in olive green, lavender and charcoal. Drape with satin sheets for a chic, hotel-inspired look. Need advice? Get in touch with our team for more information.